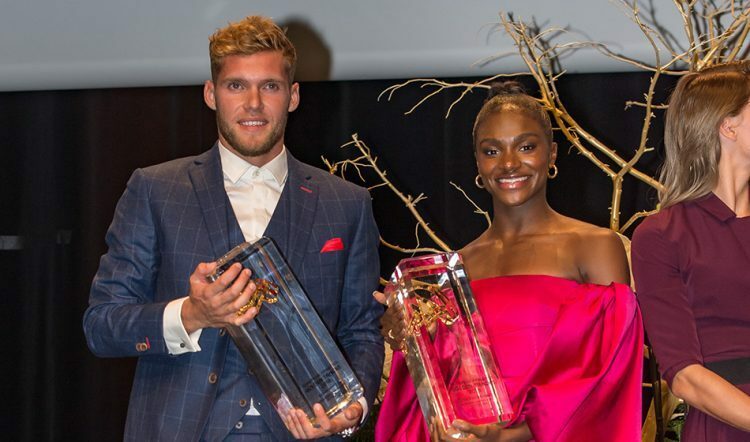 Greg Rutherford received a lifetime achievement award, while Dina Asher-Smith and Kevin Mayer were named athletes of the year at European Athletics’ annual Golden Tracks awards ceremony in Lausanne, Switzerland. British long jump record-holder Rutherford retired at the end of the season following a highly successful career which included Olympic, world, European and Commonwealth titles. When winning his world gold in Beijing in 2015, Rutherford became the fifth British athlete in history – after Daley Thompson, Linford Christie, Sally Gunnell and Jonathan Edwards – to simultaneously hold all four major titles and he set the British record of 8.51m in 2014. Rutherford’s first European title was claimed in 2005, when he won under-20 gold in Lithuania. He won senior European titles in 2014 and 2016 and a silver in 2006. 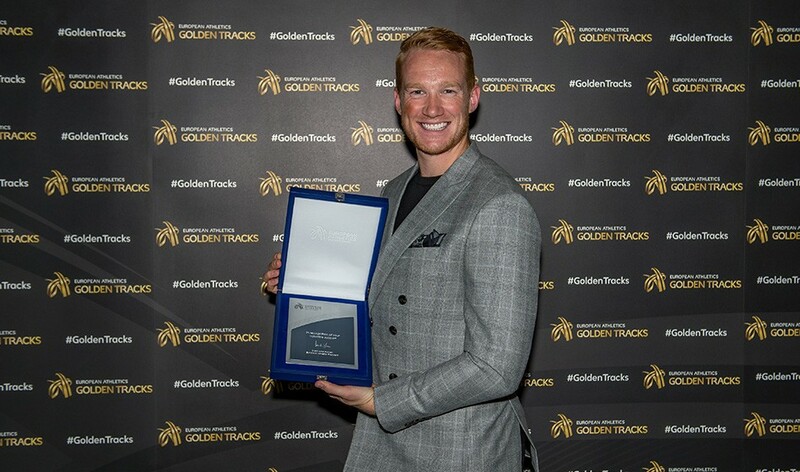 The 31-year-old had hoped to attempt to become the first man to win a third successive European long jump title in Berlin in August but was forced to miss the event through injury.
.@GregJRutherford received the Lifetime Achievement Award at the Golden Tracks. Also among those honoured at the Golden Tracks evening were British sprint star Asher-Smith and France’s world record-breaker Mayer. UK record-holder Asher-Smith stormed to a sprint treble at the European Championships in Berlin, equalling the world lead in the 100m with 10.85 and setting an outright world lead of 21.89 in the 200m as well as anchoring the 4x100m team to victory in another world-leading time of 41.88. She becomes the fourth British athlete to win the award after Sally Gunnell in 1993, Kelly Holmes in 2004 and Jessica Ennis-Hill in 2012, receiving the trophy ahead of last year’s European athlete of the year Katerina Stefanidi of Greece and Belgium’s European, world and Olympic heptathlon champion Nafissatou Thiam. Mayer, meanwhile, becomes the third French athlete to be crowned male European athlete of the year after Christophe Lemaitre in 2010 and Renaud Lavillenie in 2014 and receives the honour in a year which has seen him win the world indoor heptathlon title in Birmingham with a world-leading score of 6348 and then break the world decathlon record with 9126 in Talence. He won the award ahead of Turkey’s world and European 200m champion Ramil Guliyev, Norway’s European 1500m and 5000m champion Jakob Ingebrigtsen and Sweden’s European pole vault champion Armand Duplantis. Duplantis and Ingebrigtsen did still receive awards, however, as they were named joint winners of the men’s rising star accolade, while Belarusian hurdler Elvira Herman won the women’s award. Ukraine’s two-time European 800m champion Nataliya Pryshchepa received the fair play award following her act of sportsmanship in the heats when she ran to the assistance of Belgium’s Renee Eykens who fell in the home straight.